and they walked in their own counsels. and turned my hand against their adversaries. Blood, vengeance, hatred, war, cursing and much more to the same effect seem to form the staple content of many of the psalms. Indeed The Young Person (in the Podsnappery sense) whose only acquaintance with the scriptures was the Book of the Gospel and the Book of Psalms might be forgiven for thinking that they referred to two different deities and two different spiritual paths. Such a Young Person would be surprised and probably discomfited to discover that the psalms form the very heart of the corporate worship of the Church and the private devotions of many Christians. Surely some mistake they might think what has 'gentle Jesus meek and mild' got to do with all this dashing of children against rocks? [Psalm 137(136)] To descend to the particular, I was that Young Person dear reader. It struck me that this ancient practice of the Divine Office which gave so central a part to Hebrew poetry was a legacy from a more barbarous past with which the Church was now saddled but which could profitably be sidelined by individual believers. Eventually, though, it came into my mind that perhaps in such matters the Church possessed better judgement and greater wisdom than I did. So, in a modified version of Pascal's Wager, I essayed the experiment of making the psalms part of my daily prayer life. Over the course of time, day after day, year after year, I began in a sense to sink through the bony surface of them and enter into their marrow, discovering great underlying themes and ideas which can only be seen from the inside looking out never from the outside looking in. I fell in love with them because in them I discovered love. As an aside it occurs to me that something similar could be said of the Quran. Non-Muslims who have never read it in its entirety or only read it once or twice in a lifetime will understand it in radically different ways from those within Islam who read from it and think about it every day. They will discern things in it from the inside looking out which are truly there for them though they do not appear to be so for those on the outside looking in. Of course the parallel is not exact since, from a Christian point of view, I do not suppose that the Quran is Divinely inspired in the same way that the Bible is. However, many of the Surahs, perhaps those especially written during the Meccan period while Khadija, the first wife of the founder of Islam, was alive, clearly proceed from a more or less accurate apprehension of the Unity of God and the relationship that man should have towards Him. This means that a person with right intentions looking for right meanings within the book has a good chance of finding them though they may find other things besides. Anyway, I digress and probably offend large numbers of both Christians and Muslims in the process. Psalm 81 (numbered as 80 in some Bibles) is in some ways representative of the 'difficult' Psalms. The verses under consideration represent a summary from God's perspective of the Book of Exodus or more paradigmatically of God's relationship with His people Israel over all of history. It seems to suggest that if they do what He tells them they will receive in return substantial material rewards and their enemies (and Israel never runs out of enemies) will get a sound spanking. On the other hand if they don't do what they are told suffering will ensue. It is plausible, even likely, that the psalmist (traditionally King David) understood the psalm to mean what it appears to mean. It is certain that many generations of Israelites understood it in that way. However people can be unconscious agents of a deeper wisdom than they themselves possess and Christians would argue that the Holy Spirit inspired David to write (and sing) something which has an altogether more universal and less materialistic meaning. We should in some measure approach the psalms in the same way that Sherlock Holmes approached a crime scene. The available data can easily and quickly be assembled to put together a satisfactory narrative which explains meaning and motive. But the official narrative is invariably wrong and like Holmes we should be alert for the single thread in the tangled skein, the one clue that enables us to unravel the mystery, put the unimaginative literally minded Scotland Yarders to shame and discover that important truth which will serve the good cause. Here the clue is in that passage which gives this blog its (slightly mischievous) title So I gave them up unto their own hearts’ lust: and they walked in their own counsels. The enemy who defeats Israel is Israel itself. The guidance which God proffered to the nation resolves itself into His presence dwelling in the hearts and minds of individual Israelites. This would be understood to be especially present in some individuals more than others, Moses, Aaron, the Prophets the Davidic Kings, but nonetheless present in all. Or, at least, in all who were willing to accept that gift, to "open wide their mouths." When the gift was refused then the situation that our Lord later described became true For unto every one that hath shall be given, and he shall have abundance: but from him that hath not shall be taken away even that which he hath. (Matthew 25:29) Those who found even the nominal acceptance of the Law and the restriction of worship to one God too onerous to observe were granted their desire to be freed from the lightest touch of Divine grace. Without this presence people wander bewildered in a material world which can only be understood in terms of material desires and passions. The purpose of this kind of life lacks any ethical base and consists of a cycle of trying to fulfill desires whose outcome is invariably unsatisfactory leading to continuous repetition often in ever more extreme variations. As another aside it is worth pointing out that by absence of grace I do not simply mean absence of an explicit religious faith. An ethical life can be lived apart from faith but not apart from grace which is the invisible action which prompts ethical choices in all who make such whether they are aware of its presence or not. We have seen that God's eros for man is also totally agape. This is not only because it is bestowed in a completely gratuitous manner, without any previous merit, but also because it is love which forgives. Hosea above all shows us that this agape dimension of God's love for man goes far beyond the aspect of gratuity. Israel has committed “adultery” and has broken the covenant; God should judge and repudiate her. It is precisely at this point that God is revealed to be God and not man: “How can I give you up, O Ephraim! How can I hand you over, O Israel! ... My heart recoils within me, my compassion grows warm and tender. I will not execute my fierce anger, I will not again destroy Ephraim; for I am God and not man, the Holy One in your midst” (Hos 11:8-9). God's passionate love for his people—for humanity—is at the same time a forgiving love. David moves on to tell us that Israel, the beloved rejected their Divine lover and would not listen to Him. Which is, of course, a generalisation on his part by which he means that the overwhelming mass of Israelites rejected God although a faithful remnant ever remained, as it ever shall. Yet I have left me seven thousand in Israel, all the knees which have not bowed unto Baal, and every mouth which hath not kissed him. (1 Kings 19:18) Left without the guidance of pure love Israelites, and you and me, act in ways which are guided by its opposite. Love is always about others, about giving, about service. Self-centredness is about Me, about taking, about reaping what we do not sow and letting the devil take the hindmost. The Almighty, who has voluntarily limited His own power to grant His people freedom, then laments that He has been abandoned. This lament springs not from a sense of what He has lost, what can God lose, but what we have lost by relying upon ourselves alone, by trying to be as gods ourselves. And what have we lost? His aid in our battles against those powerful enemies who kill our souls (and often our bodies too) here in time and also in eternity. The enemies whose names are wrath, avarice, sloth, pride, lust, envy and gluttony. Without His help they rule over us, the lesser has power over the greater, the body over the mind and spirit. With Him we can vanquish them and be as we should be, as Mary the mother of Jesus was. What is awesome about David in the Psalms is that he loves God above everything else. Even his own life. He is sold out to the Lord, lock, stock, barrel, or rather, arrow. And, the Lord must have soldiers in his earthly Army because it is necessary. What is interesting about Islam is that it arose out of war as well, with the founder taking about 13 wives over time as spoils, one as young as 6 named Aisha (although consummation did not occur until 9 years old). Talk about Lust, eh? The former verses of the Quran describe peace while the latter verses describe war. Scholars insist this is because the founder started out preaching monotheism to the polytheists of the area, preaching the Pillars ( Shahada ordeclaration that God is One and "M" is his prophet, Zalat or prayer, Zakat or giving 2% to needy, Sawm or fasting during Ramadan, Hajj or pilgrimage to Mecca at least once during ones lifetime). But after many wouldn't agree he turned to war. So the latter verses in the Quaran supersede the former. This is a belief in Islam called abrogation. So they must make jihad of nonbelievers and of their own failure to perform the Pillars. It is a works based religion. Scholars have long debated the "problem of war" in the Old Testament wondering what the Lord was up to when He condoned it for Israel. Many are still scratching their heads. Have a blessed day. It doesn't surprise me at all that going through the psalms and internalising them for a year, you'd get a lot out of them. 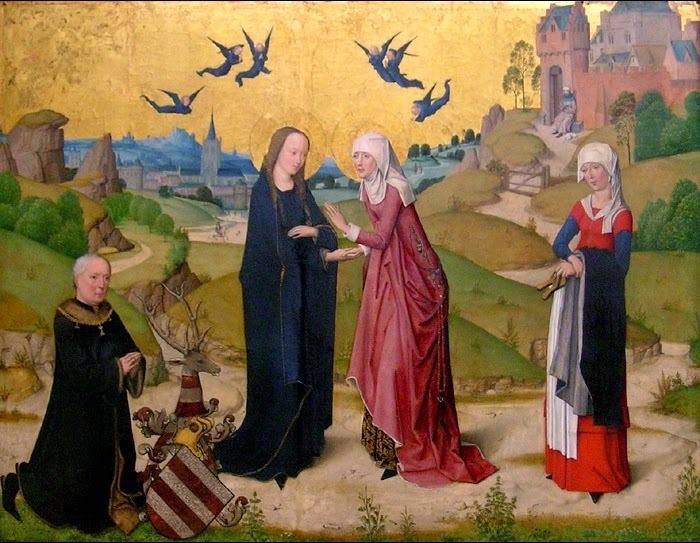 For a start many are self-evidently beautiful (I'd forgotten how brilliantly Ice Cold In Alex jazzes on Psalm 23, by the way) and secondly, all that lamenting and rejoicing and generally calling out the state of things is always going to resonate, in any age. I think I'd be interested in a timeline though: when were they written down roughly, and how does that fit into the general timetable of the history of Israelites smiting everyone in sight? (Of course, as Neil McGregor points out, at least some of the time when Israel claims to have won mighty battles and mashed everyone, this is not quite the truth when you compare the Bible with other ancient texts). I'm less persuaded that all the aggressive bits are a buried metaphor for being your own worst enemy - but perhaps their ferocity is understandable given that they lived in a period where it was smite or be smited - the threat of total war, with no Geneva Convention. It's all very easy for us to be critical in our far more comfortable circumstances. As usual, only, 'but it's always been like this' is offered as a reason for why an incredibly forgiving and deviously Sherlockian reading is OK for some parts of the Bible which seem a bit fierce, whereas other sections (women, gays) are clung onto like grim death when any alternate or more easy going reading is suggested. But we are not going to agree on this. Podsnappery: I had to follow the link (I'm a bit of a selective Dickens reader). It sounds like an app, I can't believe that no techhie has pinched the word yet. I do make the point that the original intention of the psalmist and the Christian interpretation of the psalm can be quite sharply divergent. The point being that David wrote without a full awareness of the complete revelation contained in Jesus but we read his works through the lens of that revelation. As far as women, gays and other assorted contentious issues go I see you are confusing me with Martin Luther. What the OT says on such matters is of interest and is indicative but it is the Magisterium which is conclusive. As Newman pointed out the scriptures contain such a wide variety of genres and were written for such a variety of purposes that they are unsuitable to be the sole source from which we derive doctrine. They are, however, excellently well suited to prove the doctrines which we have received from the Apostles. And it is the Apostolic faith which gave us those values which are so at odds with the values of social liberalism. 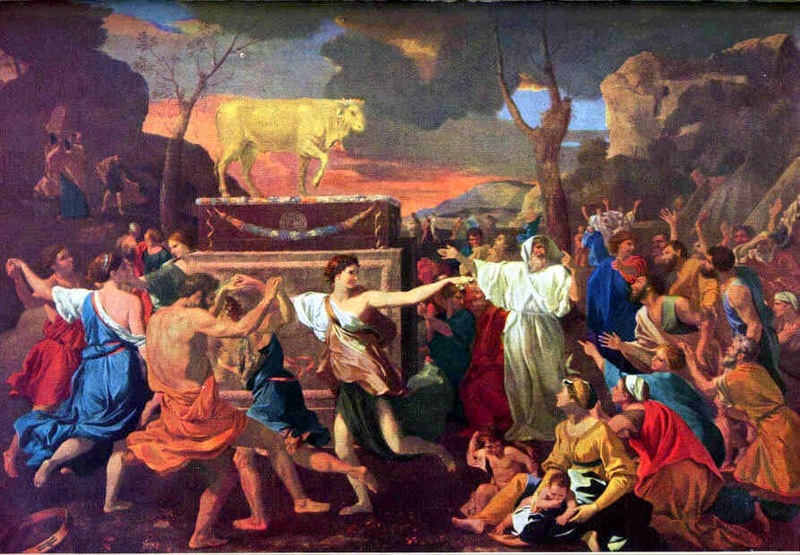 PS Golden Calf worship looks an awful lot like Glastonbury - loads of retro Druids in a state of undress, *and* it's clearly about to rain.